Benchmark indices ended flat despite unexpected rate cut by the Reserve Bank of India (RBI) on Thursday. The Sensex, after gaining as much as 197 points, or 0.53 per cent, ended four points lower at 36,971. The Nifty, however, rose for a fifth consecutive session to close at a fresh fourth-month high of 11,069. The 50-share index gained 56 points during the day but managed to close just up seven points above over its previous day's close. The rate cut and change in the stance to ‘neutral’ with focus on growth was positive from the market point of view, said experts. “We hope that the rate cut will be transmitted by the financial sector to the real economy and boost economic activity," said Motilal Oswal, chairman, Motilal Oswal Financial Services. "If oil prices remain subdued and inflation remains below the RBI's mandate of 4 per cent, another rate cut in April cannot be ruled out. 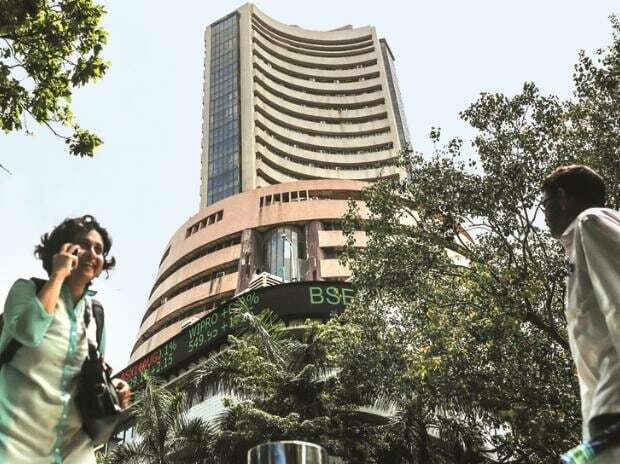 The market will take this very positively.” Market players said the muted reaction from the market was because of weak global cues and profit-taking after recent gains. Ahead of the policy, the benchmark Sensex had rallied 4 per cent after gaining for fifth consecutive sessions. Most global markets, including the US index futures, traded lower after the US dollar and treasuries inched up. “Market turned volatile as investors started booking profit after the recent rally. The change in stance to neutral was in-line with expectation but the rate cut was a surprise. Benign inflation outlook and the possibility of further ease in key rates will help to revive credit growth which is positive for rate sensitive stocks," said Vinod Nair, head of research, Geojit Financial Services. 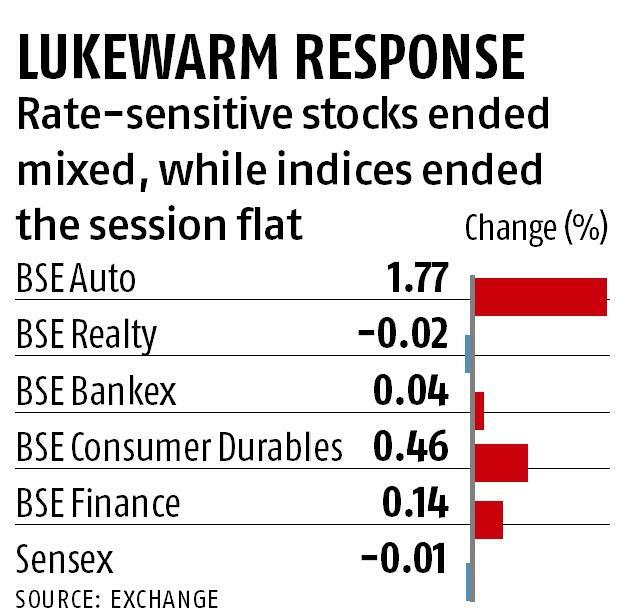 Rate-sensitive stocks ended a mixed bag with shares in the automobile and non-banking finance companies (NBFC) index gaining, while real estate index ending with losses. Shares of select NBFC companies rallied sharply on hopes that the policy decisions will bring down credit costs and boost profitability. Both domestic as well as foreign institutional investors were net-buyers to the tune of Rs 418 crore and Rs 294 crore respectively.